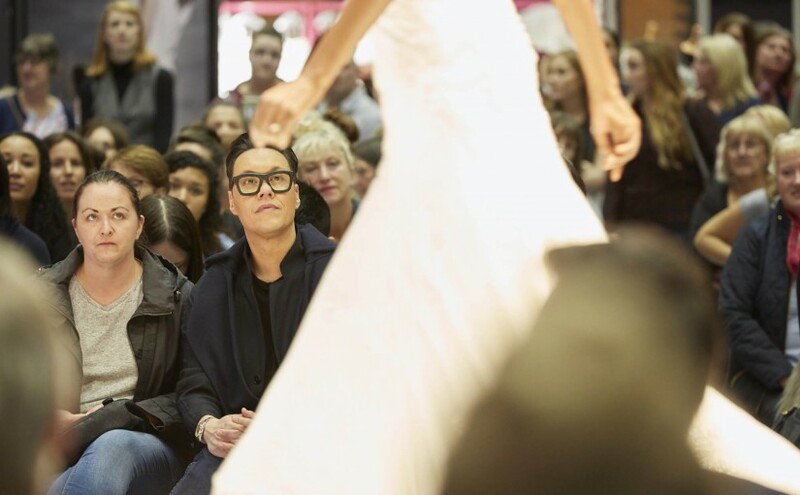 If you tuned into ITV’s This Morning on Tuesday, you would have seen fashion consultant and presenter of Channel 4’s How to Look Good Naked, Gok Wan at The National Wedding Show in Manchester. 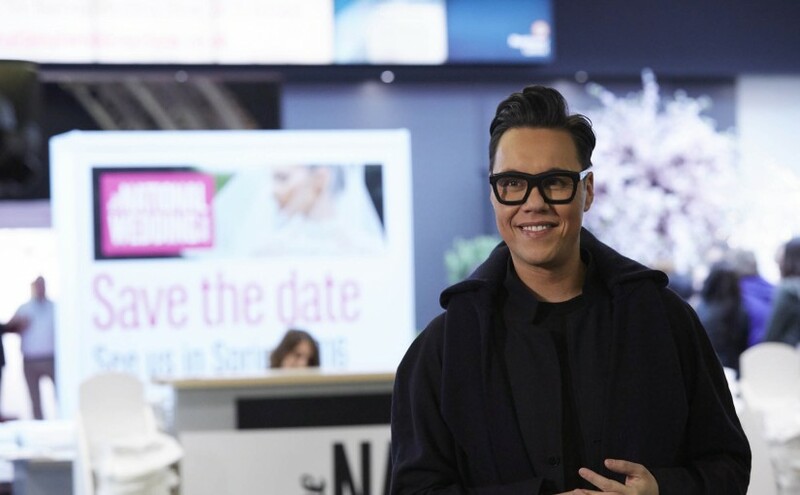 Filming his ‘Win a Wedding’ competition, in which viewers have the chance to win a wedding hosted live on This Morning, Gok spent the day at The National Wedding Show ‘frowing’ the catwalk, and chatting to the show’s exhibitors and excited brides to be. If you missed it, catch it on ITV Player now! Spring 2016 dates – Manchester Central from 20-21 February, London Olympia from 26-28 February and Birmingham NEC from 4-6 March. Last weekend we were in Manchester for the last of the three autumn National Wedding Shows, having already been to London and the NEC, Birmingham. We were excited to seeing so many brides out in force planning their big day….trying on dresses, sampling cake, sipping on bubbly and celebrating with their friends and family. Being surrounded by so much prettiness made it impossible to choose our favourite thing about the shows this season, but one highlight had to be seeing the latest bridal trends and beautiful dresses on The Catwalk. 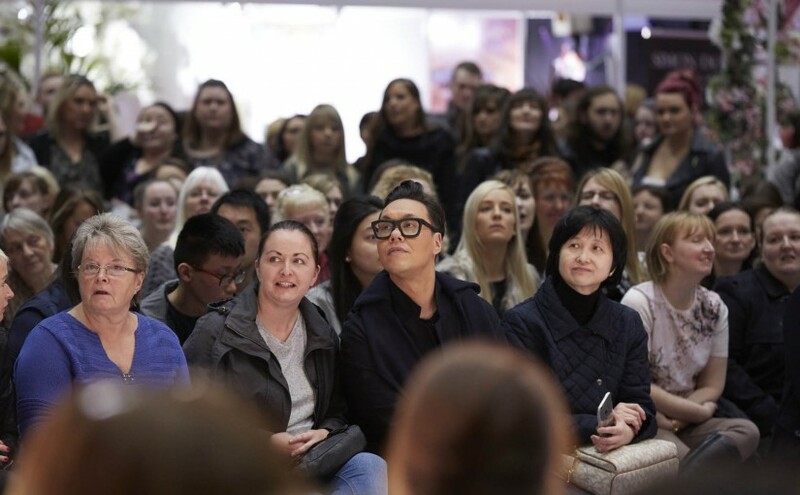 We caught up with our friends Jeff Banks, Sassi Holford and the lovely Kat Williams from Rock n Roll Bride in London, were joined by the fabulous Ian Stuart and Charlotte Balbier in Birmingham and even Gok Wan popped into Manchester (more news to follow). 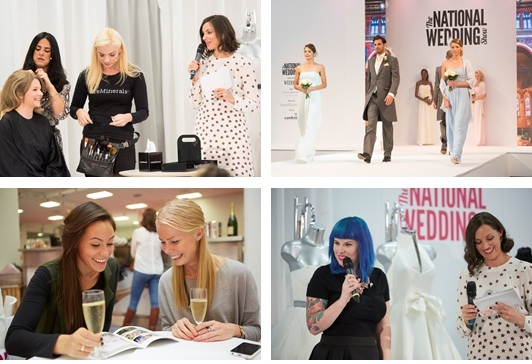 This season has been an absolute blast – the shows have been action packed from start to finish and we can’t wait for the spring shows to commence!